Beppe De Vito has a pervasive presence in Singapore’s food and beverage scene. The Italian restauranteur is the man behind the Illido Group, a consortium of several bars and dining spots around town with reputations that might supersede even his own. There is Amò, a contemporary pizzeria; Southbridge, a rooftop bar beloved for its oysters; Aura, a classic Italian restaurant with an expansive sky lounge — the list keeps going. Even if his name might not strike a chord, you’re bound to have been in one of De Vito’s enterprises before. All of the Illido Group’s domains have been rooted in the city thus far, but the latest addition to the portfolio is located in a curious place. 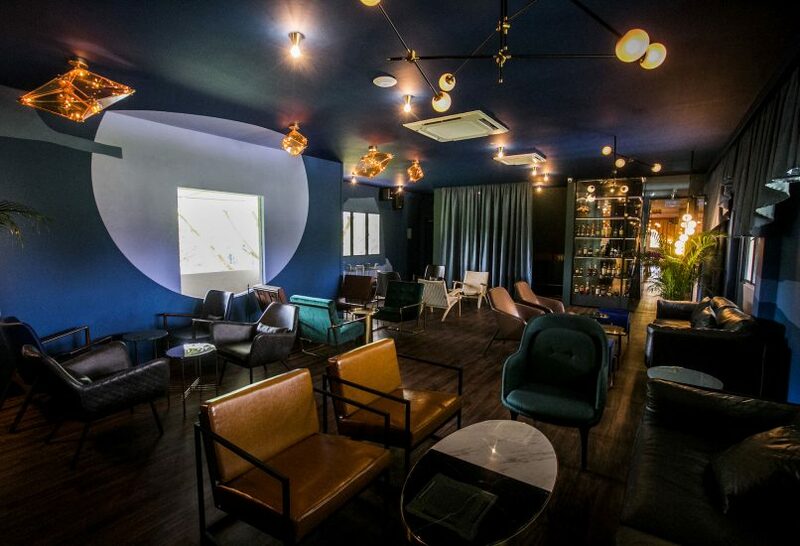 Room For More, a new whisky and cigar lounge, is situated just off Dempsey Hill. Its secluded locale is by no means a shortcoming. The quiet elegance of the area is enhanced by the presence of the lounge, giving malt lovers an opportunity for respite as they while away the evening with a dram or two. 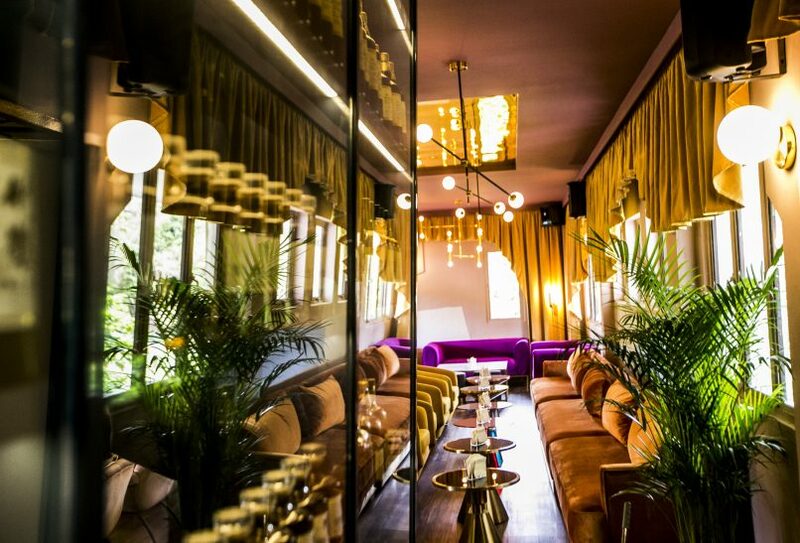 Outfitted in plush velvet furniture and burnished metal accents, Room For More takes the austerity out of a traditional whisky lounge and replaces it with a dose of sexiness. 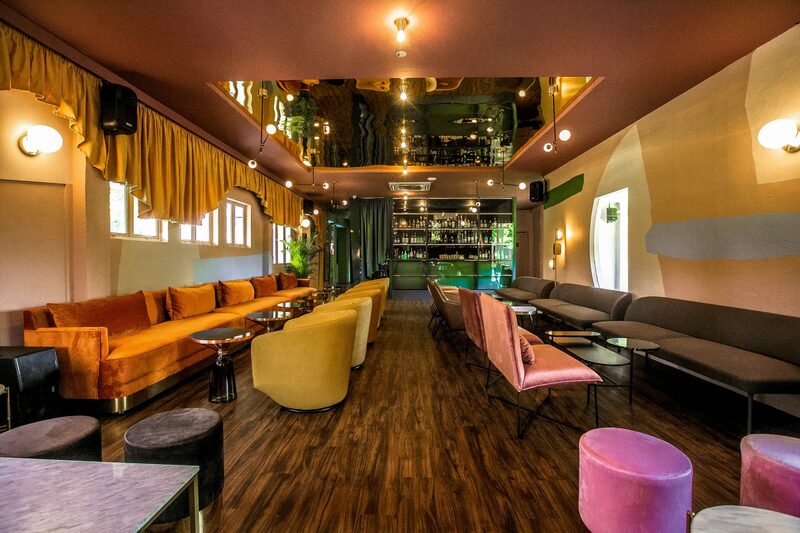 The space is split into three areas: A bar, a cigar room and an alfresco area with verdant jungle greens as a backdrop. Mood lighting and smooth music facilitate the sense of ease a guest should enjoy in Room For More. Whether you are a whisky fiend or a casual drinker, you can feel right at home. When you ascend the steps to the bar, you are greeted by a sprawling glass case of whiskies that stretch wall to wall. That display is a mere teaser to the vault of malts the establishment holds, but don’t let it intimidate you. Scotch forms a significant bulk of what Room For More offers. Entry-level pours from The Macallan, Bowmore, Lagavulin and other renowned distilleries offer comfort for the clueless, but if you are adventurous or in the mood for something new, scour the rest of the menu. Single malts and blends are organised according to the various whisky-producing regions, and every dram or bottle listed comes with comprehensive tasting notes, so even if you know nothing about the distiller, you can make a decision based on flavours that appeal to your palate. 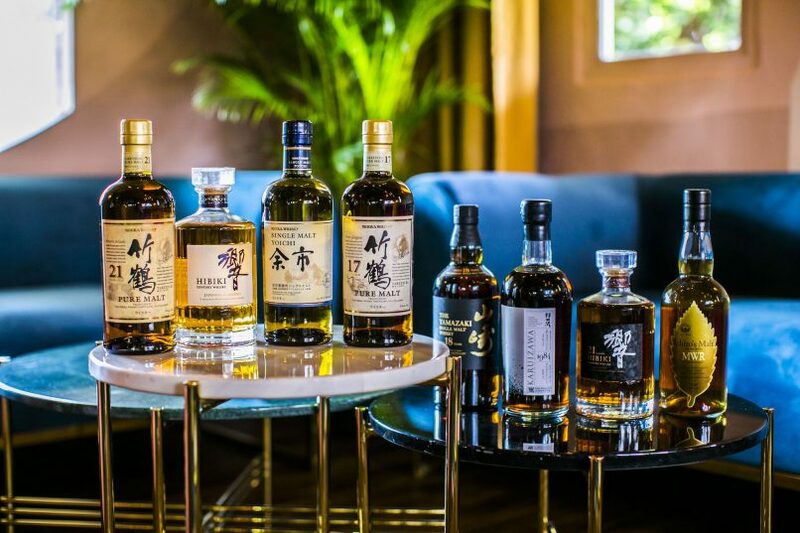 A selection of Japanese whiskies. Room For More doesn’t want Scotch to define your whisky drinking experience, so it has branched out to bring a substantial number of bottles from Japan, and regions far more esoteric — Germany, Italy, France, Sweden and other European nations are given due presence on the menu too. Scotch from Talisker, Aberlour, Tobermory and Jura. Still, in a country where dedicated whisky bars abound, De Vito’s version has to bring out the big guns in order to stand neck and neck with similar concepts that have been around for longer. The rare malts available on the menu give Room For More some muscle, as some of these are seriously difficult to come by. The team has managed to secure bottles of 1984 Karuizawa from the Artifice Series, which features artwork by local painter Warren Khong on the label, some 21 Year Olds from Rosebank, when the Lowland distillery was closed, and a 35 Year Old Port Ellen that will make your heart and wallet sob. Those who can’t grasp the geeky namedropping can seek solace in the signature cocktails. Most of the house drinks are spins on classics, with tropical fruits incorporated for a familiar touch. 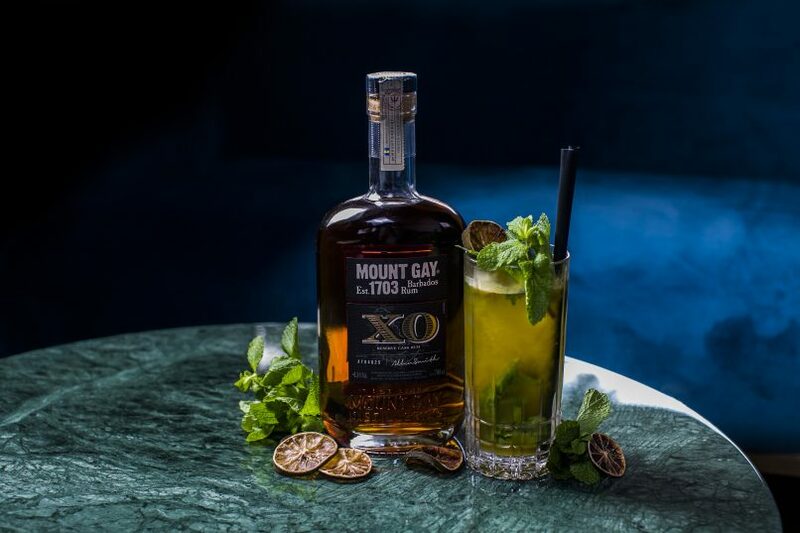 One of the cocktails available is Caribbean Passion, a take on the mojito with dark rum and passionfruit juice. Eve’s Garden was a standout. The blueprint of a martini is energised with umeshu and a spray of mangosteen tea, which gives the drink a delicate, floral lift. If you seek something bubbly, the Bollicine is your answer. Playing on the French 76, a rambutan and juniper berries infusion is added to make this fizzy libation taste like a mouthful of sunshine. A leaner selection of wines, beers, and other spirits are also available by the glass or bottle. It is best to visit before or after dinner, as Room For More does not have a substantial food programme. They do have light bites, though, brought up from Atout, the French bistro on the ground floor. 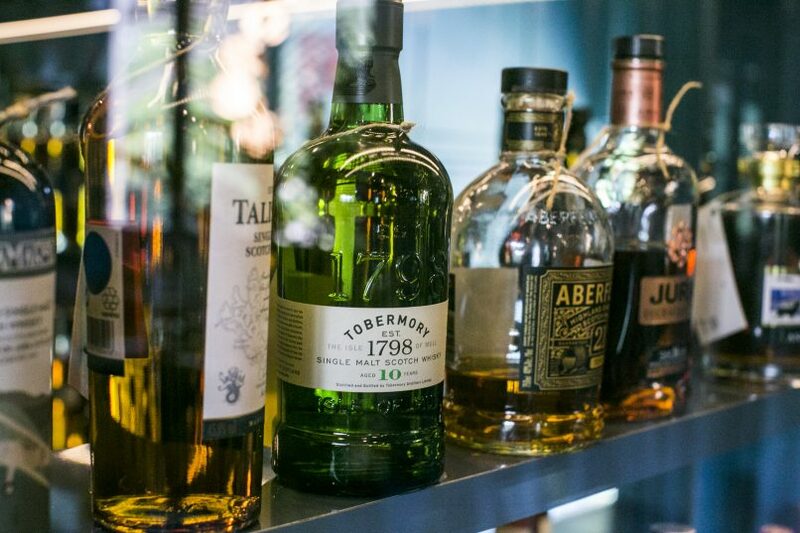 It’s quite a challenge to make a whisky bar stand out in our saturated market, but Room For More’s welcoming interior, competitive prices and polished cocktails does give us reason to return. Recommended drinks: Eve’s Garden, Bollicine, or a quality glass of whisky. Price: S$19 to S$24 for cocktails. Whiskies are priced from S$10 for a 30ml pour, but average S$15.